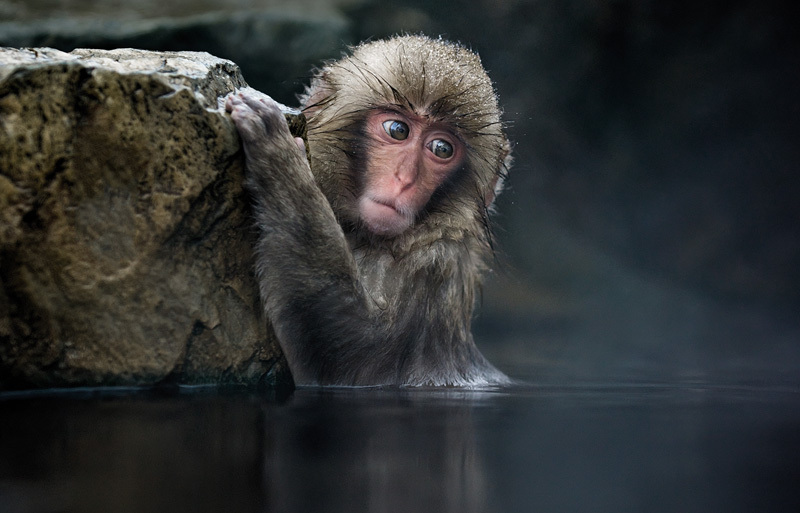 This young Japanese macaque is looking worriedly in the direction where a couple of macaques are fighting. There is a strong hierarchy in a macaque troop, and violent encounters happen very frequently. A macaque like this could be very easily hurt quite badly.